I've been working on our Christmas decorating for probably three weeks now. I've been glittering everything and making pom poms and garlands and I've even been doing some Elf themed stitching (coming soon!). I might be going just a tinge overboard this year, but I don't think so. My sister and brother in law are coming home for Christmas this year and all the festivities will be at our house, so I really want it to be good. Stockings are something I've wanted to try for a while, but I'm not crazy about sewing. I am getting a little better at it, but I can't say I really enjoy it. Now that it's over and the sewing is done, I can say I am so happy with them. I used the pattern and tutorial found here at FabricWorm. It was such an easy tutorial to follow, which is really saying something because usually when I read sewing tutorials I want to cry. So I had the stockings done and nowhere to hang them. We don't have a mantel, so in the past we've just hung our stockings from the top of bookshelves or something. I didn't want to do that this year so I came up with these wall hangers. 1. 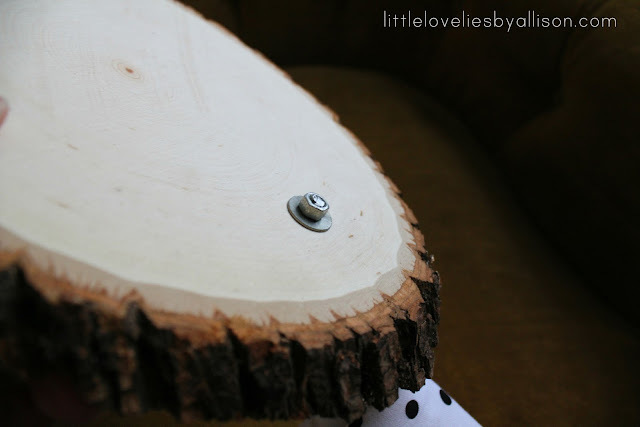 Drill a hole through your wood disk for the door knob. 2. Install the door knob. Mine had a bolt that just twisted to the back of the knob. There was about 1/2" of the screw part of the knob that was sticking out beyond the bolt. I just cut it off with a hacksaw so the stocking holder could sit as close to the wall as possible. 3. 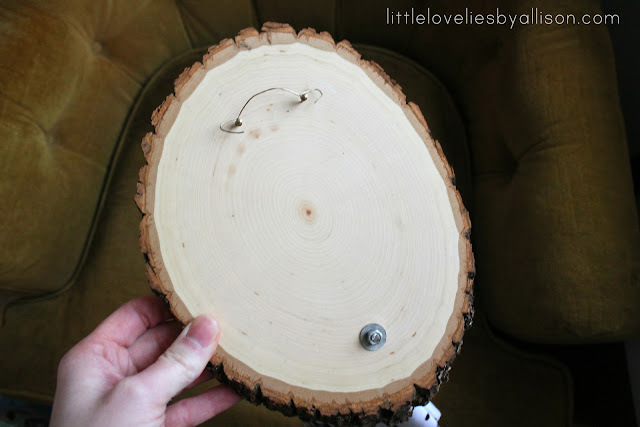 Add nails and wire to make a hanger. 4. To hang the holders, I used 3M wall hangers because my dad ingrained in me an irrational fear of putting holes in the wall. (To be fair, we had plaster walls growing up so every hole in the wall held the potential for a crumbly mess.) They've been hanging for a couple of days now and I don't think they're going to fall. Just to be safe, we'll probably take the full stockings down and set them under the tree on Christmas morning. I have a few more Christmas projects to share this week. Yay for more than one post a week! p.s. I'm linking this up to the Dare to DIY series at Maybe Matilda. This week's theme is Deck the Halls. It's been a fun series to follow - go check it out! Allison, I love this! I have loved seeing your Christmas decor so far--so different from the traditional look, but in such an awesome way. The stockings are beautiful (it's too bad you hate sewing, you are so good at it!) and the wood hangers are so unique and look so cool. I want you to fly out here and decorate my house. Pretty please? :-) Thanks for joining in to Dare to DIY! This is amazing! What a clever way to hang them and make a statement. And I love that these could be used for so many things throughout the year. The possibilities! I'm particularly obsessed with this because we have tons of logs out back. My poor husband may have a new project. Thanks so much for linking up to Dare to DIY! So cute! I love the stockings too. I love your stocking holders! What a great idea for those who don't have a mantel! So inventive! I love how you repurposed the wood. These are so unique and beautiful! Would really go with the rustic theme I'm thining of doing for next year. Thanks for sharing! I love these. Simple and beautiful. Thanks so much for joining the Dare to DIY! 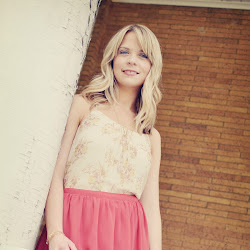 Just wanted to let you know I spotlighted your project today. Thanks again for linking up! candy, candy canes, candy corn, and syrup!